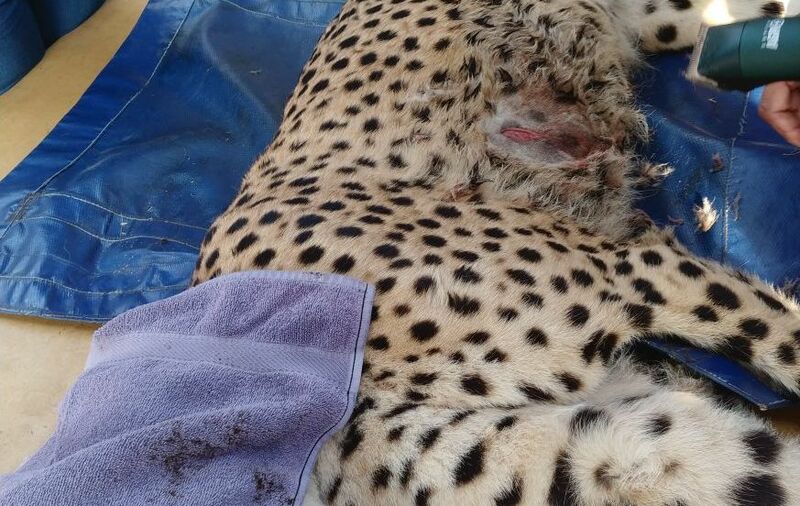 A few days ago, one of the HESC curators noticed that one of the male cheetahs was wounded. 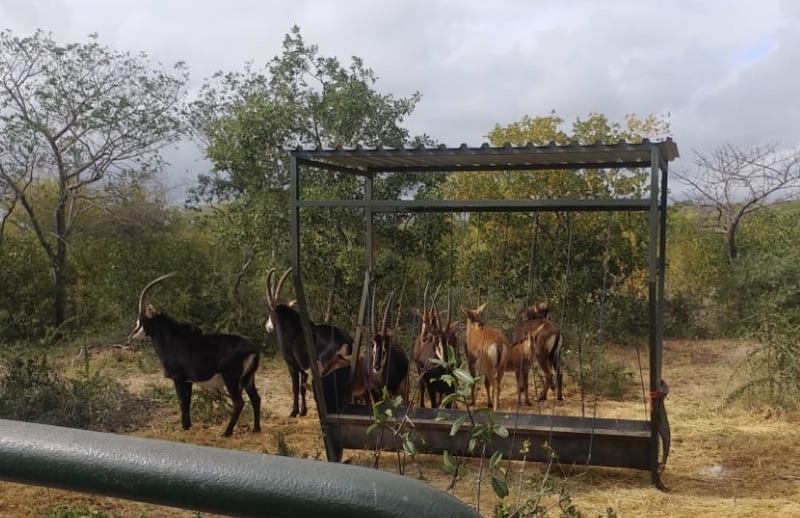 After some investigation, it was clear that the cheetah had managed to get into the Sables camp, and must have been attached in defense, by the Sable Antelope. 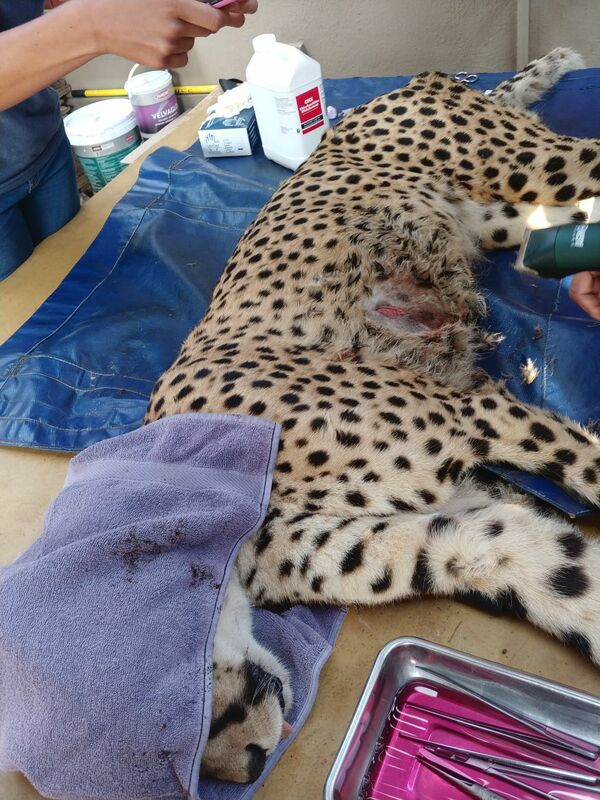 We took the cheetah to leading wildlife vet, Dr Peter Rogers, to examine him, and luckily the wound was not too serious, it had just pierced beneath the skin, and no major damage had taken place. 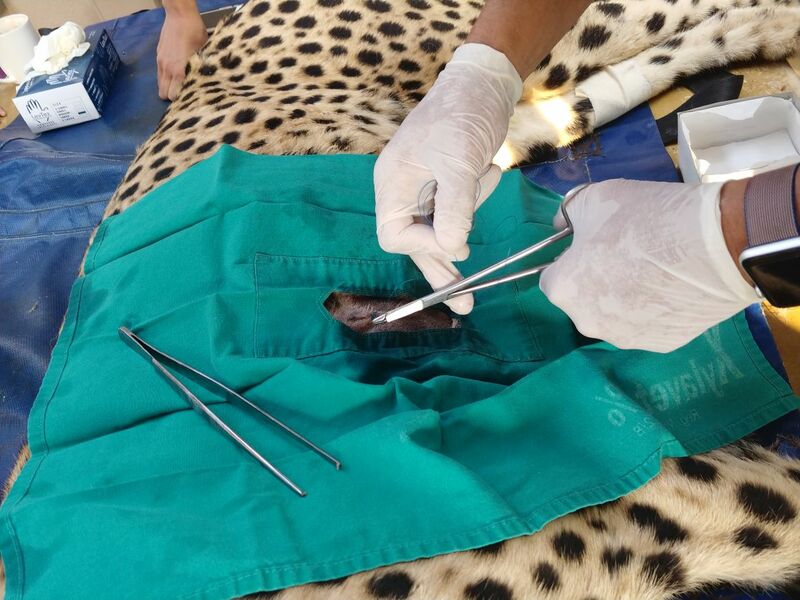 Dr Peter Rogers, treated and dressed the wound and prescribed some antibiotics, and it was not long until our strong cheetah was back on his feet again, and looking strong. The Cheetah back on his feet after getting treatment. 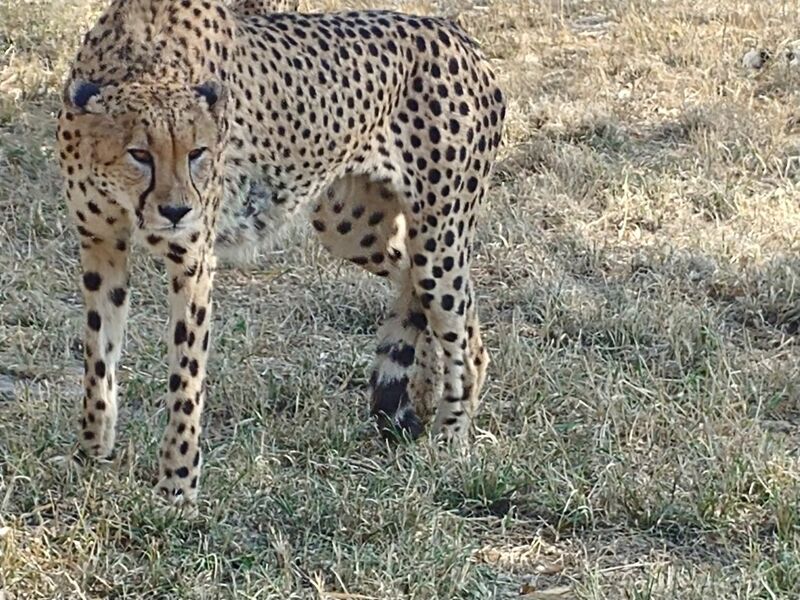 We are fortunate that the wound was not very deep, and we are certain that the cheetah learned a bit of a hard lesson that day, to stay away from the Sable’s Camp! Cheetah, leave the antilopes in peace ! Your food is provided by HESC team ! Hi Bernie, it indeed is, thanks for your comment!